This week was all about our presentations. It was a nervous day and as the hours counted down till the lesson was due the nerves really began to take over. Matt helped with an email in the morning giving us some settling thoughts so I just had to keep reminding myself of this and persevere with the thought that the presentations were going to go ahead no matter what, so I might as well get in the right head space. I was quite confident that I had covered the criteria of the assignment in my presentation but was wondering if it might have been too much information. I had a games presentation last week and did not have enough detail so did not want to make that mistake again. Trying to create the right balance of having the criteria fulfilled I think I had all the relevant information plus a little more. Even though I wrote up the power point with references and quotes when I presented I had simplified a lot of the words for me to say because with a deaf voice I really struggle to say most words and talk for a long time consistently and continuously. We were also recorded and were told that we would get our individual videos for our own reference. Facing the camera was even more nerve racking but I have learnt that you have to do whatever you have to do. All the presentations were very interesting. There was a lot of variety of website ideas and most people seemed to have strong ideas the direction they wanted their websites to take. The question and answer sessions after each presentation helped clarify everyones ideas. I was quite nervous about my presentation but it went ok. I felt I messed up a few words here and there but I stuck with the script and managed my presentation within about 10 minutes. The questions asked were simple enough to answer but I did struggle to hear what was being asked so was not sure if I answered correctly. All in all it seemed to be quite a successful day for most students and we were all glad it was over. Just waiting for feedback now…. This entry was posted in Network Aesthetics on November 24, 2015 by saadchaudhryme. 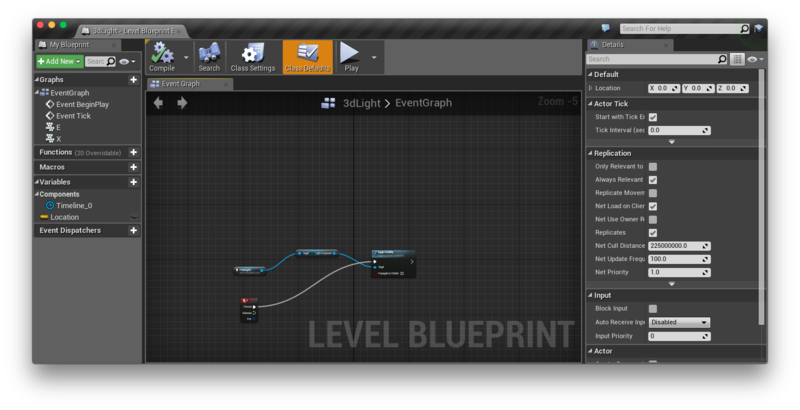 We continued this week to learn about Unreal Engine. I enjoyed this lesson but it is quite a lot of new things to learn and I have never used this software before. Haris has said practice, practice and more practice. We learnt how to make objects move up and down and Light switch on and off, how to add texture into wall. 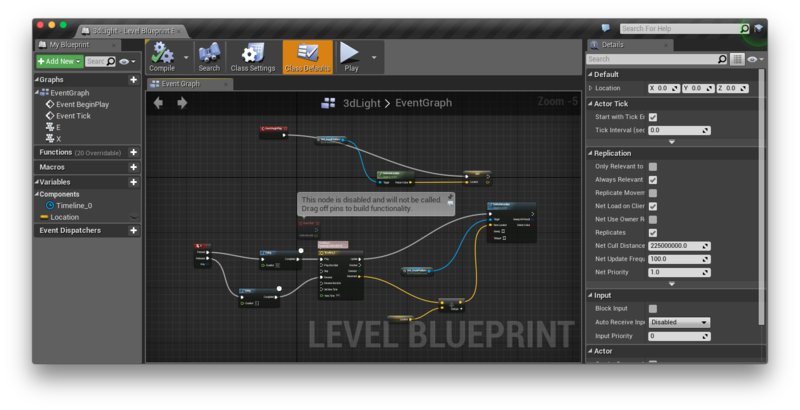 We learnt how to use Blueprint. I have to transfer this knowledge into a 2d level design as our game is 2d. 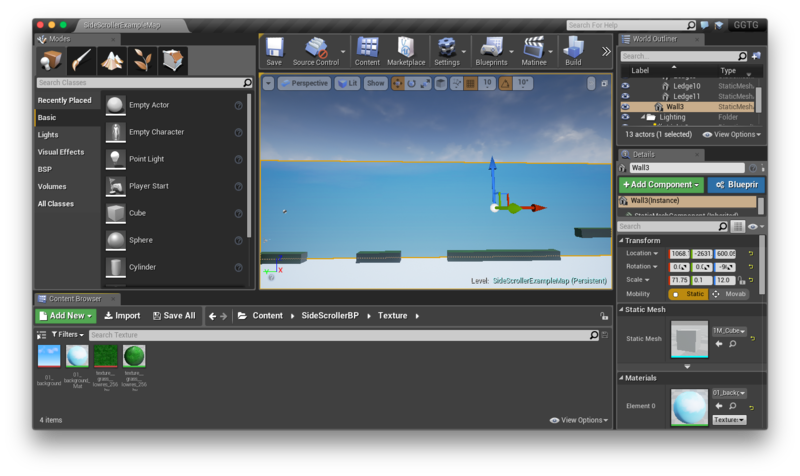 This entry was posted in Interactive Gameplay on November 23, 2015 by saadchaudhryme. 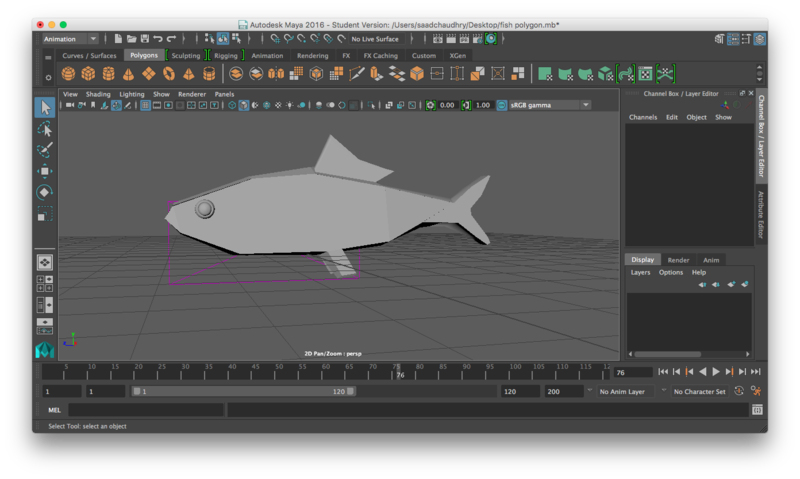 The whole lecture today was about modelling a fish in Maya. We followed Haris whilst he gave the tutorial. This was not too bad but to be honest with you fish creep me out. Made a mistake and the fish went wrong. 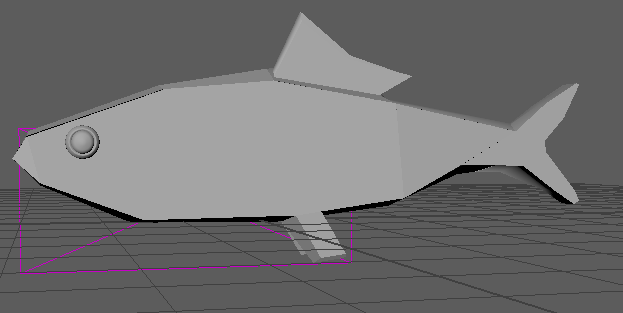 I messed up and improved the fish model at home. 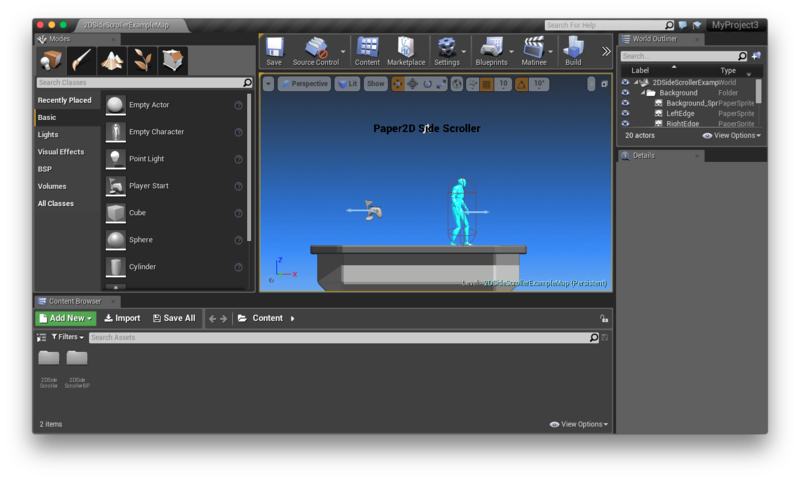 This entry was posted in Experimental 3D on November 23, 2015 by saadchaudhryme. 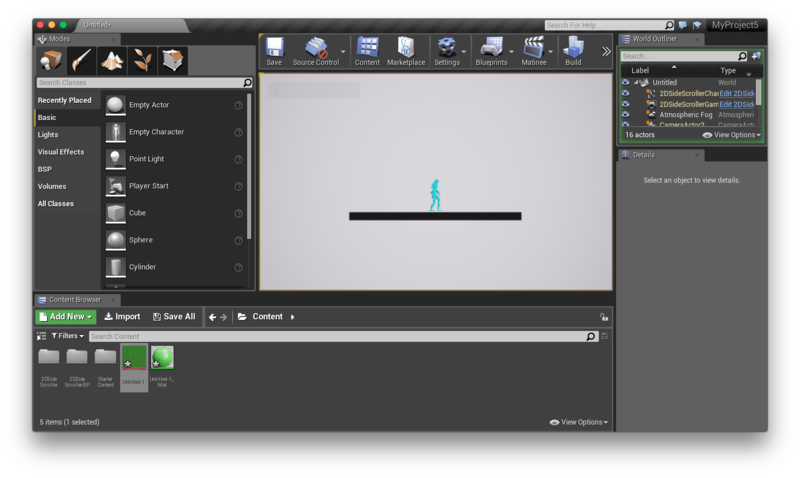 I have done research and tried to practice how to use unreal engine 4 for our 2d game for the module. I spent about five hours over two days trying to figure things out. 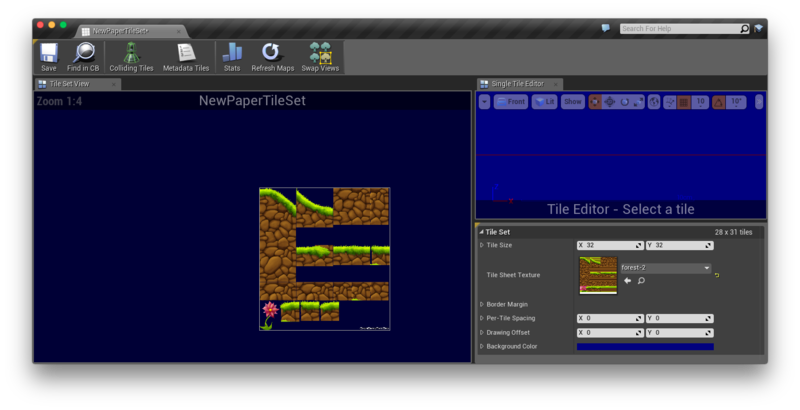 Did manage to finally use the template, default, new level ,tile set in 2d side scroller. 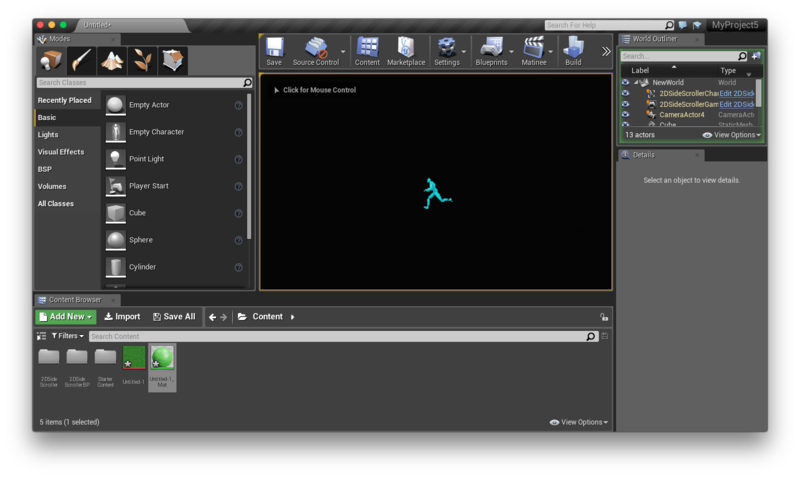 I have decided to use the side scroller template to create the game. I am trying to make level design in 2D Side Scroller. I have imported the 2d grass platform into default to make 2D Side Scroller. I have imported grass texture into cube in the empty level to make it look like 2D Side Scroller. But it is not there so I did this about 3 times and again nothing. 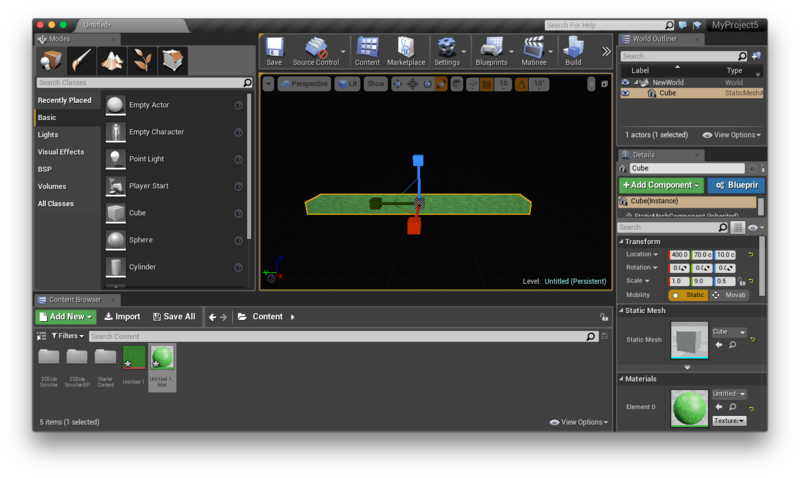 I have imported the 2D grass platform into tile set but it is not doing anything to make the 2d flat paper side scroller. 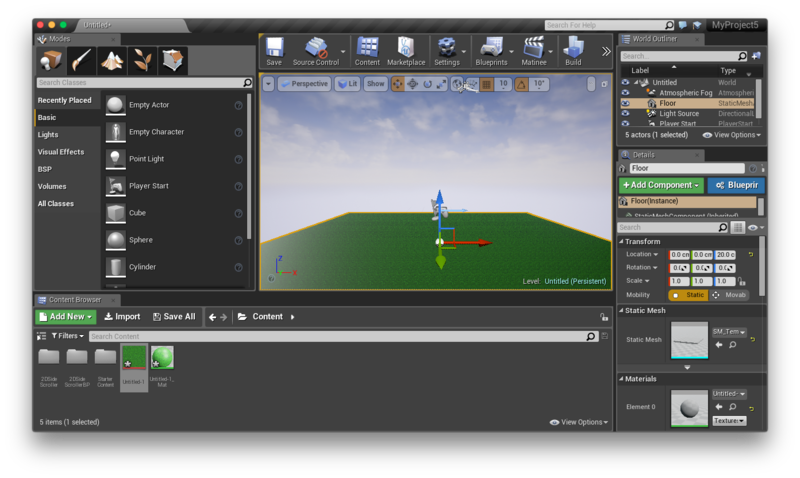 I have used the Side Scroller in Unreal Engine 4 and I have used in template and changed into our 2D game and added texture blue sky and green grass platform. 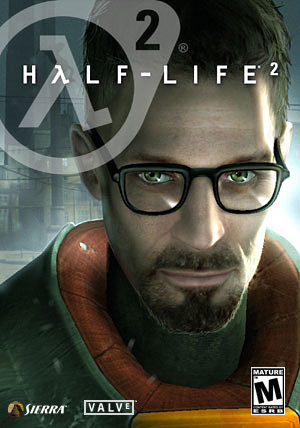 Haris told us to play Half Life 2. I downloaded it on my PC through Steam. The game started with a long cut scene explaining the setting of the game. This cut scene was interesting and because I had not played Half Life 1 it was well explained to be able to understand what the game was about. I started running around aimlessly not sure what was expected from me but once I slowed down and looked around the environment I realised there were clues in the world that would help move me through. For example boxes needing stacking to climb up and someone calling me in their direction to give me the crowbar. I loved smashing the boxes and doors. This entry was posted in Interactive Gameplay on November 19, 2015 by saadchaudhryme. This lecture was about ‘The ghost in the Machine.’ A concept of having dual personalities and in a technical sense how there are ghosts in machines such as computers which can have a mind of their own. This describes how our brains are split and how this can create different personalities within ourselves. Jekyll and Hyde is a good example to how humans can have two very different sides to their personalities. Collective madness is an organized pattern within the world today. Our brains are split in different ways and different parts work for different things. For example in politics an enormous amount of money is spent on weapons but the same politicians actually only want peace. This is the contradiction Koestler talks about where he says humans say one thing but do another. Primitive Brain: used for self preservation and animal instincts. 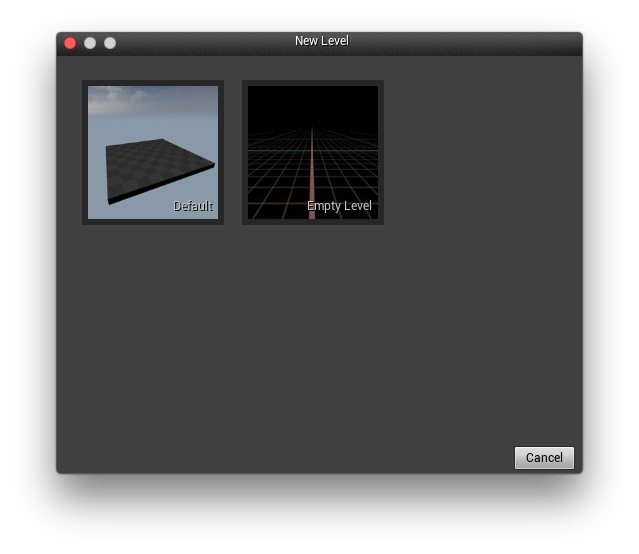 After, We also worked with Harris on some more Maya after effects tutorials. We handed in our group essays. 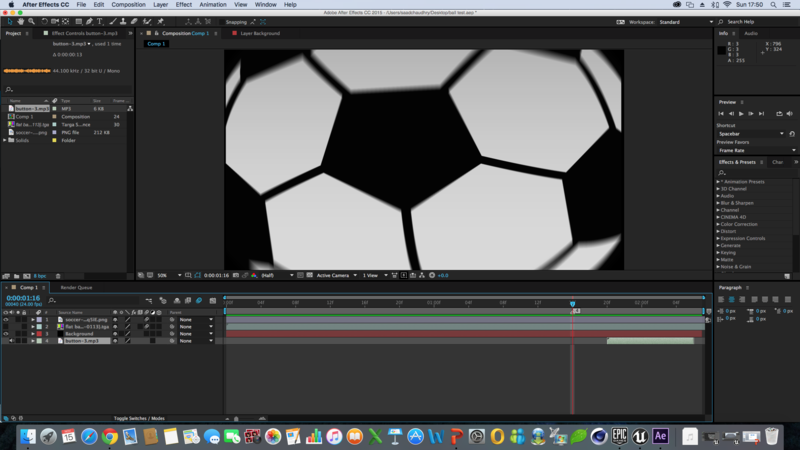 We have created something in after effects. This entry was posted in Experimental 3D on November 18, 2015 by saadchaudhryme. This is an email I wrote to various companies. The original idea was that I wanted to create an employment link on my website for university students. I received some replies. They thought the idea of my website was a good one but they all used other methods to find employees so were not willing to register on my website. In the end decided to scrap this idea. I am a second year university student. I am working on an assignment to create a social networking site for university students in the creative field. They will be able to upload their work, give feedback to each other and maybe even collaborate to further their creative minds. I would also like to involve potential employers and have them upload their details and register on the site. This would enable them to view work from the next generation of creative minds and maybe find suitable employees. I would be grateful to have your feedback on this and if you would be interested in registering for free on the site when I have it up and running. This is an assignment and there are no costs involved. (The assignment is still being finalised by the lecturers and this might only ever be a prototype). Thank you for taking the time to read my email and hope to hear from you soon. Thank you for contacting BBC recruitment services. Although you’ve stated this service is free of charge, you would still need to go through BBC Supplying. It sounds like a very interesting concept and we’d like to wish you the best of luck with it! This entry was posted in Network Aesthetics on November 17, 2015 by saadchaudhryme.